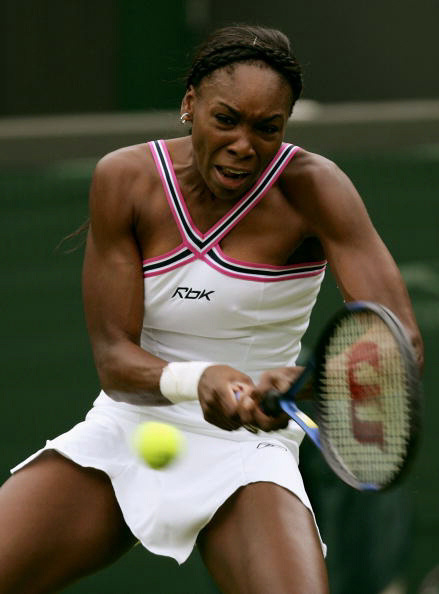 STANFORD, California (Ticker) -- Top seed Venus Williams continues to have little problems advancing at the $585,000 Bank of the West Classic. Williams, the champion here in 2000 and 2002, rolled into Sunday's final with a 6-3, 6-1 victory over fellow American Amy Frazier. Williams needed just 62 minutes to dispose of the sixth-seeded Frazier. She has dropped only nine games in three matches this week. With her latest dominant performance, Williams next will meet second seed Lindsay Davenport, who coasted to a 6-3, 6-2 victory over No. 8 Maria Vento-Kabchi of Venezuela. "I'm looking forward to it," Williams said before the second semifinal. "I always enjoy playing Lindsay, and if she makes it, you know it's going to be a good match." "Tomorrow is gonna be a little different," Davenport said. "The balls are going to be faster, it's going to be a faster-paced game." Davenport, who like Williams is a California native, has won eight of her 40 career singles titles in her home state, including six in U.S. Open warm-up events. She won the tournament here in 1998 and 1999, beating Williams in the final both times. "I'm just thrilled to be in another final here," said Davenport, who missed last year's tournament due to injury. Davenport converted 4-of-8 break points, while Vento-Kabchi was successful on just 1-of-6.